On November 20, websites of some organizations including government websites were affected by a cyber attack. A hacker from Bangladesh goes by an online handle "Skidie KhaN", a member of the hacking group called " Cyber Command0s(#Team_CC)" modified the main page of the websites of the Ministry of Justice. 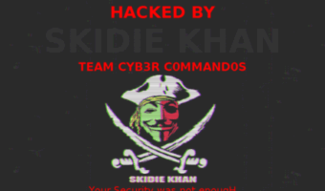 According to the local report, the defacement message said that the website was hacked by the hacker "Skidie KhaN". In addition,the websites of the Ministry of Internal Affairs, the Ministry of Defense, Attorney General's office and the Ministry of the Economy were also under the cyber attack. The Information Security Center of Uzbekistan declined to comment on the situation. 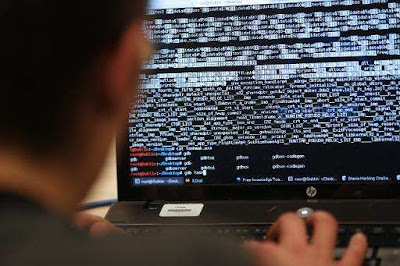 The consequences of cyber attacks on the websites of several government agencies of Uzbekistan is said to be eliminated. The government is currently working on finding the causes and method to thwart future cyber attacks. 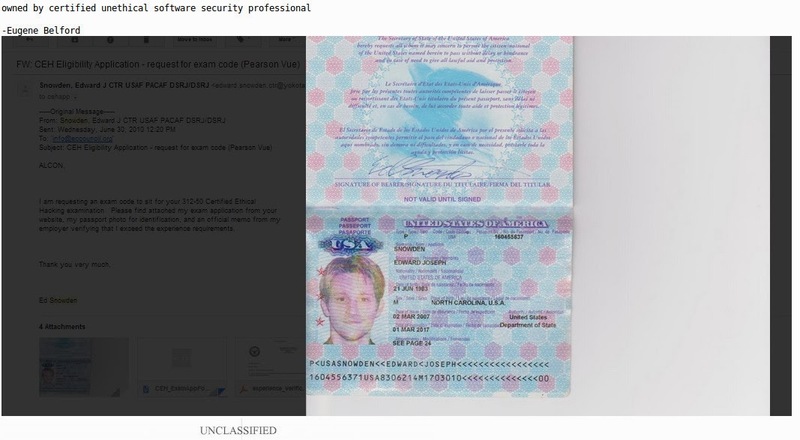 In September, the attacker hacked into many Government websites of Myanmar. The RTÉ News has confirmed that the websites of three gyms, which are owned by South Dublin County Council and independently run and operated on behalf of the council by South Dublin Leisure Services Limited, have been temporarily shut down after a hacking attack by an “Islamist hacking group”. After getting into the websites, the hackers have posted a video which contains graphic images of dead, injured people and a woman with an American accent reading a message criticizing the war on terror. 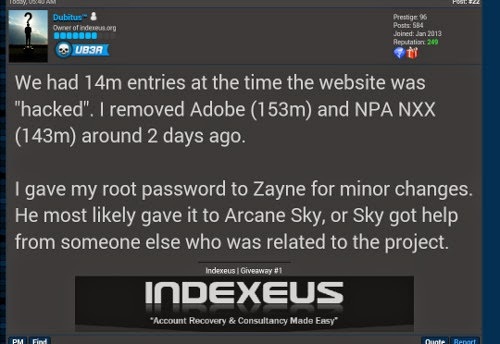 The hackers posted a message on the images which read, “Admin Don't Worry This Is just A Message And You Can Remove It. Your Website Has Been Defaced Cuz Just We Want To Show The Reality To da World. This Is The real Terrorism." Along with the video, the hackers also posted a logo for the Liber8 Tunisia Facebook page. “Prior to being deactivated, visitors to the web pages of the Clondalkin Leisure Centre were redirected to a page that claimed the breach was carried out by an organization describing itself as the Tunisian Fallaga Team,” the news report read. The websites of leisure centres in Tallaght and Lucan are also inactive following the apparent attack. According to the RTÉ News, Philip Murphy, Senior Executive Officer with the council said, "The matter has been brought to our attention this morning and we are taking appropriate action to rectify this situation. The offending material has been removed and a full investigation is under way." If we had to believe what we saw on Lithuanian Armed Forces website on Thursday morning, then the North Atlantic Treaty Organization (NATO), an alliance of countries from North America and Europe committed to fulfilling the goals of the North Atlantic Treaty signed in 1949, is preparing for the annexation of Kaliningrad, Russia’s seaport city which is sandwiched between Poland to the south and Lithuania to the north and east. 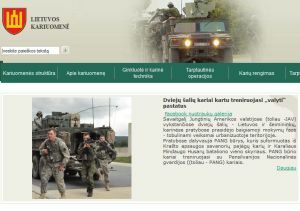 However, Victoria Cemenite, spokesperson at the Lithuanian Defense Ministry, confirmed that the website had been hacked and that the false information has since been removed by the security experts from the National Cyber Security Centre. And an investigation has been launched. The ministry said a private company, which provided server for the Army website, is responsible for its maintenance and security. Baltic country's National Defence Minister Juozas Olekas says that the hacking attack was aimed to harm the reputation of Lithuania and the NATO. Similarly, security measures will be taken to avoid vulnerabilities. “We are carrying out an investigation to identify what measures are necessary to avoid such incidents in the future. The contents was provocative and aimed at discrediting Lithuania and NATO," Olekas told journalists on Thursday. 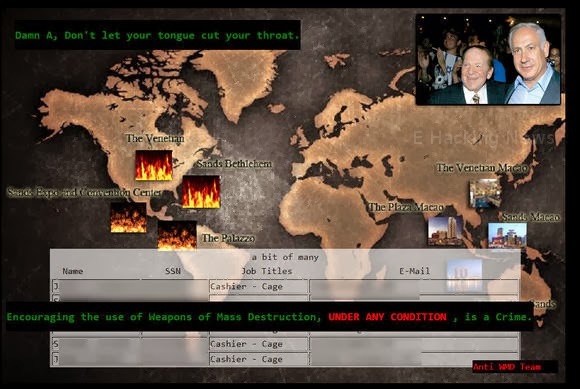 One after another, Middle East Cyber Army, a hacking group, is attacking government websites of various countries. After Myanmar’s Ministry of Mines, the hacker group has hacked the website of Arizona’s Department of Weights and Measures’. As a result, the website has been shut down for the last one week. 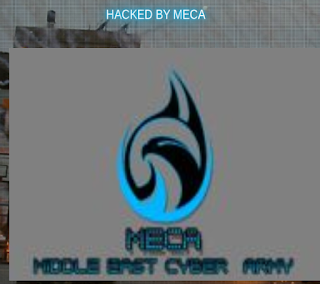 The hackers left a message on the website, “Hacked by Middle East Cyber Army” and slogans like such as, “In Allah we trust. For Allah we work. Death to Israel. Free Palestine. Jerusalem is ours” along with a masked figure in front of the Dome of the Rock. Andy Tobin, director at the department, confirmed that the department’s website was hacked on Sunday. Today, the department’s website is still down for maintenance. “The web-site you were attempting to access is currently undergoing maintenance activities. We apologize for the inconvenience. Please retry again later. Thank you for your patience,” the website read. According to Tobin, soon after they got to know about the hacking attack, they shut down their website and database. He said that the agency got its backup database running on Tuesday so its investigators can continue their work. Tobin said the agency is investigating the matter collaborating with the Arizona Department of Administration. Similarly, they have also informed the U.S. Department of Homeland Security about the hacking attack. The department is still trying to sort out the issue. It has yet to be determined whether the department to resume its website or shift its components over to the Arizona Department of Agriculture, which is scheduled to take over many of the department’s duties next year. The hacking group had hacked many other websites like in December the group hacked the website for a school district in Little Rock, Ark. It took over the website for the small Quebec town of Terrasse-Vaudreuil in January. Similarly, in May, it targeted Auckland University in New Zealand. And in April, it hacked Art and Sol, a Scottsdale-based performing arts program for children. The US Army's official website was hacked by the "Syrian Electronic Army", and posted a message on its twitter account, criticizing the training of rebel fighters inside Syria. According to the army officials, no personal or classified data has been stolen. The army has decided to temporarily shut down the website. One of the messages reads as, "Your commanders admit they are training the people they have sent you to die fighting." This pro-Syrian group has been blamed for various hacking and denial of service attacks of numerous news media sites, including the Twitter account of AFP's photo service. Army spokesman Brigadier General Malcolm Frost said in a statement, "Today an element of the Army.mil service provider's content was compromised. After this came to our attention, the Army took appropriate preventive measures to ensure there was no breach of Army data by taking down the website temporarily." This is not the first time they have hacked website, in 2013 they created confusion in the stock market briefly by putting out a fake media tweet falsely claiming the White House was under attack. The website and Twitter account of high-tech automaker Tesla were hacked over the weekend as part of a prank by angry rival hackers. Tesla CEO Elon Musk’s personal twitter account was also hacked around Saturday night (US Standard Time). 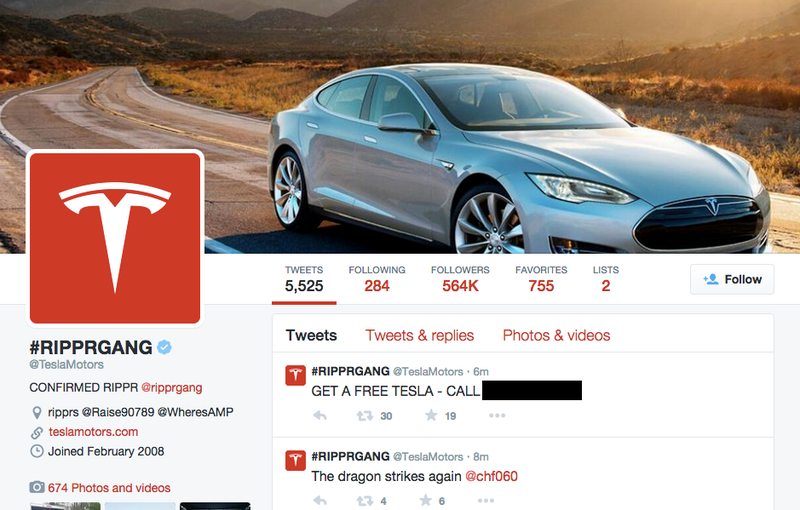 The first sign of hijacking was noticed around 1:52 p.m., when the company’s Twitter account had a tweet that declared it being under the control of attackers and the name changed from “Tesla Motors” to “#RIPPRGANG”. 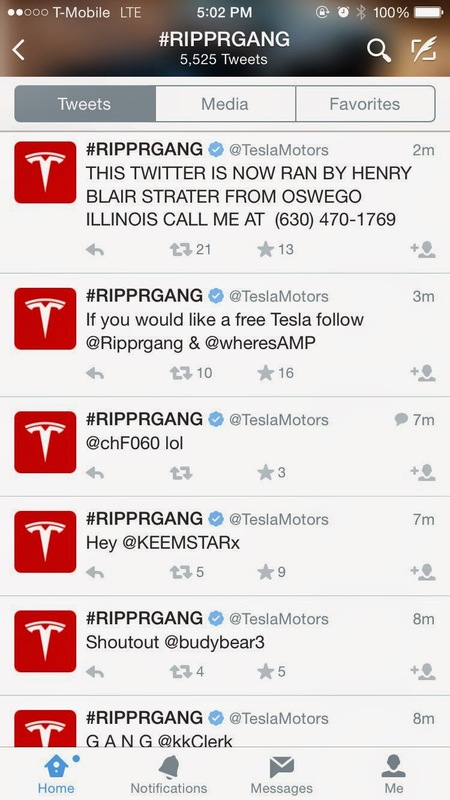 The tweet posted on the carmaker’s account said, “This Twitter is now run [sic] by Henry Blair Strater [sic] from Oswego Illinois, call me at [number redacted]”. A few minutes later, the account began promising free Teslas to those who followed certain accounts or to those who called a certain phone number. The number belonged to a repair shop in Illinois which was flooded with calls. 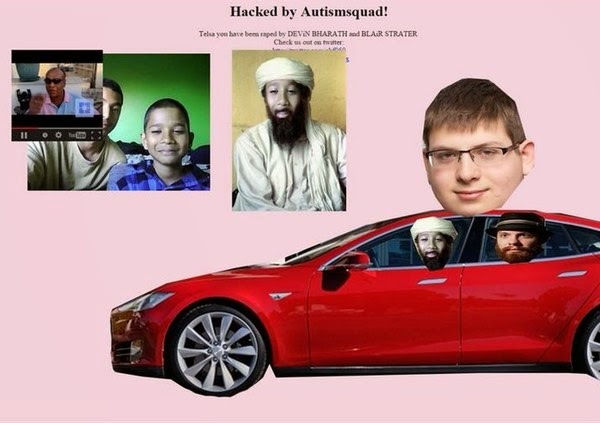 Nearly at that time, Tesla’s website was hacked by the same attackers. Visitors were redirected to a website with ISIS in the URL, a Laden-ranting video and a picture of a man resembling Osama Bin Laden. The Twitter account war restored around 2:45 p.m., an hour after it was uncompromised and the website was back to its usual state at around 6:30 p.m.
Elon Musk’s Twitter account was hijacked by miscreants who claimed to be from the infamous Lizard Squad Hacking crew, known as Autismsquad. The Pakistani hackers continue to target Indian Government and other websites. 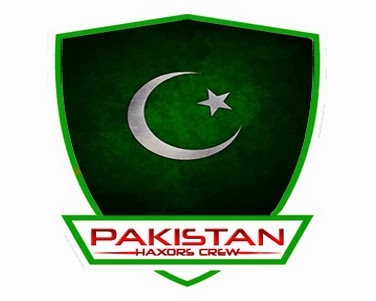 'Pakistan Haxors Crew' is to be one of the most active groups that targeting Indian websites. Today, the hacker known as 'H4$N4!N H4XOR' from the group hacked into one of the popular Indian Government websites ; The main page of Taj Mahal website(www.tajmahal.gov.in) is now displaying the Pakistan's flag. "Whatever you fail to detect, will cause your downfall..Pakistan Haxors Crew is here to remind you of your Security.. Our fight is not against any individual but the system as whole"
It is not the only website defaced in the recent attack. The group also changed the contents of other popular government websites including Agra Fort official site(agrafort.gov.in) and Fatehpur Sikri site. While other sites are modified to display the hacker's content in the front page of the site, hackers have placed their defacement page in Fatehpur Sikrisite at "http://fatehpursikri.gov.in/r00t.html"
At the time of writing, all of the affected websites still display the contents modified by the hackers. Bharatiya Janata Party's(BJP) website once again has been targeted by hackers claimed to be from Pakistan. This time, a hacker named Muhammad Bilal from Pak Cyber Experts group breached the official Bihar Bjp website(www.biharbjp.org) and defaced the home page. The defacement contains a picture of person standing on Narendra Modi's photo and posted some comments. 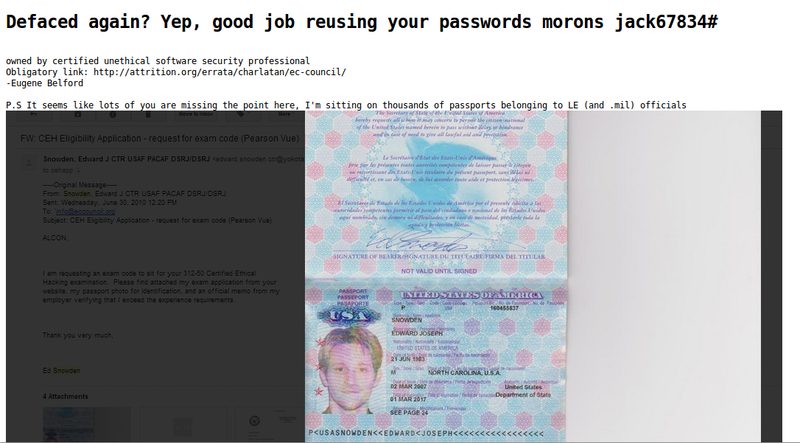 The hacker also called India as Stupid. "I just woke up for reading Namaz. I just thought i will check BJP website :D good site it was :( then my mind changed :( i thought to write 'Pakistan Army' or 'pakistan zindabad' on the site of people who say [redacted] about Pakistan." defacement message reads(translated). The hacker has a past history of attacking Indian websites and Modi's related websites. This is not the first time BJP's websites being defaced by Pakistani Hackers. Earlier this month, hacker with online handle 'Sniper Haxxx' defaced the BJP Junagadh unit's website. 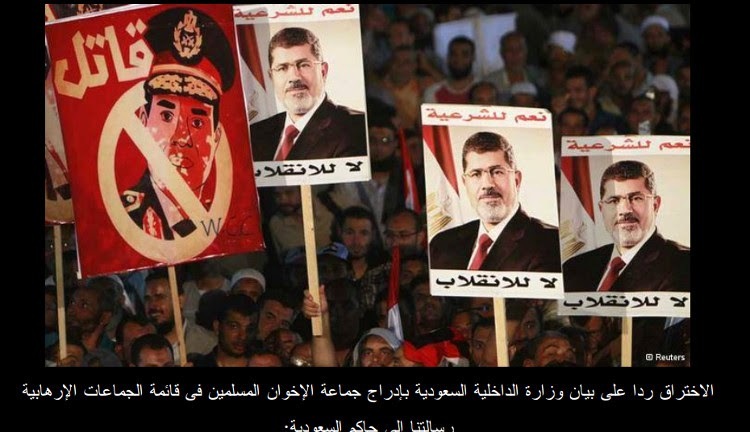 "Penetration in response to a statement by the Ministry of Interior inclusion of the Muslim Brotherhood in the list of terrorist groups." "Our message to the governor of Saudi Arabia: The day will come who are under it is exposed to more than what it is now Syria." hackers said.
" The most worthy AQIM contain the Two Holy Mosques to be a compromise in everything Do not be biased for a class to another, until he became Al Saud believe in all that is Islamic terrorist And all of the resistance for pursuing terrorism The injustice of kin most Reluctantly --- one of Hussam signed Mohannad. Signature: Moroccan Islamic Union-mail"
This is not the first time the site being targeted by hackers - Earlier this year, a hacker going by handle 'Dr.SHA6H' also defaced the website. On Sunday, the famous Russian news website RT.com has bee hacked and defaced. The hackers gained access to the admin panel of the RT website and managed to publish several articles containing "Nazi" word in the headline. The security breach also has been confirmed by the Russian Today in its official twitter account saying "Hackers deface RT.com website, crack admin access, place "Nazi" in every headline. Back to normal now.". Some of the published articles are entitled "Russian Senators vote to use stabilizing Nazi forces on Ukrainian territory", "Nazi nationalist leader calls on 'most wanted' Nazi umarov' to act against Russia' ". The website has been restored and back to normal. 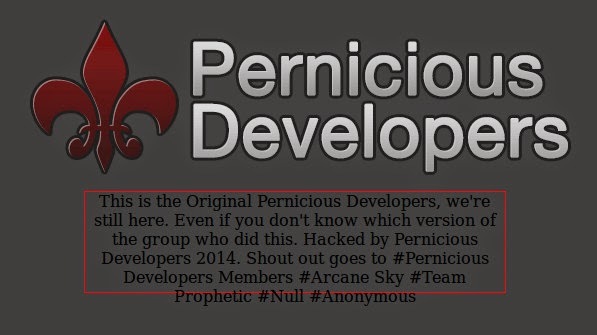 But still, no hackers appear to have taken credit for the breach.